With Modern Forensic Science Is the Perfect Crime Impossible? Probably. Likely. Not to mention that getting away with any crime requires a healthy dose of luck. And even these tricks are not likely to work. Bad luck being what bad luck is. BIO: HANK PHILLIPPI RYAN is the on-air investigative reporter for Boston’s NBC affiliate. She’s won 32 EMMYs, 12 Edward R. Murrow awards and dozens of other honors for her groundbreaking journalism. A bestselling author of seven mystery novels, Ryan has won multiple prestigious awards for her crime fiction: three Agathas, the Anthony, Daphne, Macavity, and for THE OTHER WOMAN, the coveted Mary Higgins Clark Award. National reviews have called her a “master at crafting suspenseful mysteries” and “a superb and gifted storyteller.” Her 2013 novel, THE WRONG GIRL, has the extraordinary honor of winning the Agatha Award for Best Contemporary Novel and the Daphne Award for Mainstream Mystery/Suspense, and is a seven-week Boston Globe bestseller. Her newest hardcover, TRUTH BE TOLD, is now nominated for an Agatha Award – a landmark back-to-back-to-back nomination! It is also now an RT Book Reviews nominee for Best Suspense/Thriller of 2014. It’s also a Library Journal BEST BOOK OF 2014, Library Journal Editor’s Pick and RT Book Reviews Top Pick, with starred reviews from Booklist and from Library Journal, which raves, “Drop everything and binge read!” She is also nominated for the Agatha Award for Best Nonfiction as editor of the anthology of essays by mystery authors, WRITES OF PASSAGE. Ryan’s next novel, WHAT YOU SEE, will debut in Fall 2015. She’s a founding teacher at Mystery Writers of America University and 2013 president of national Sisters in Crime. This year CraftFest will be special. We have some very talented instructors who will help you write your own best-seller. Join us. It will be fun and will kick your writing up a notch or two. Don’t miss ThrillerFest, CraftFest, PitchFest, and Master CraftFest this year. Description: Exploring the delicate balance of research when writing fiction, how research can inspire, enrich and also imperil. A lesson on how to weave research into the fabric of your novel. Description: How to begin putting your novel of suspense together; how to proceed; how to end. This presentation will be a how-to, step-by-step- guide to molding your thriller. Description: Based on the #1 bestselling writing book by James Scott Bell, this workshop will teach you a unique method for crafting a powerful, unified novel by way of the “mirror moment” — a crucial beat that happens right in the middle of great and enduring stories. Using examples from books and movies, Bell will show you how to discover the true heart of your book, and how that knowledge brings everything into focus. Best of all, this method can be used at any time during the writing process, whether you like to outline or just wing it as you go. Description: In this class, Michael E. Rose, author of the Frank Delaney thriller series and former Chief of Communications for Interpol, will take you inside this well known but poorly-understood police organization. Rose will bust some of the myths and misconceptions about Interpol, and help you get things factually right if you refer to Interpol in your writing. Description: Are you one of those authors who believe novels are about character, and character is why readers buy novels? Perennial best-selling author Dale Brown tells why plot-driven novels have a place in our world, how to put them together, and how to avoid pitfalls that can turn your characters into cardboard cut-outs. Description: More and more books today exist outside of a single genre, or blend elements of multiple categories. Come learn from internationally bestselling author Carla Buckley and Mary Higgins Clark award-winning author Jenny Milchman talk about what to do if you find yourself with a hybrid on your hands and how–even though such books can be harder to publish and market–they often become the breakout books on the bestseller lists. Description: How did forensics contribute in solving the identification mysteries at the World Trade Center? Or how exactly was Ted Bundy convicted? Or what does Lee Harvey Oswald’s death and MLK assassin James Earl Ray have in common? Find out these and other ideas for your next thriller! Description: Award-winning crime novelist David Corbett will guide students in exploring the key roles that make crime fiction work, with specific focus on the specific demands of the three major sub-genres of crime fiction—mystery/detective, crime, and thriller— and an emphasis on maintaining dramatic tension, creating moral complexity, and avoiding cliché. Description: ITW co-founder and Thriller Master David Morrell describes the various narrative viewpoints. Analyzing their pros and cons, David shows that without a properly chosen viewpoint, a story can’t come to life. Description: What is the real foundation of thriller writing? Join Gayle Lynds and learn how to understand what you’re doing in your thriller, how to make it work for you, and how to weave together each aspect of writing – characters, plot, voice, story, etc. Description: Ever think that your thriller would make a great movie? Well, take this course with script doctor and screenwriter Rich Krevolin (author of how to adapt anything into a screenplay) and learn how to transform your thriller into a script you can sell to Hollywood. Description: Does your character suffer from a heart attack, asthma, or diabetes? Does he or she receive a gunshot or stab wound, maybe an auto accident or broken leg? How are these diagnosed and treated? What are the complications and possible outcomes? Go to “Med School” with DP Lyle and learn how medicine really works from the street to the ER to ICU and OR. Description: Most thriller manuscripts are not genuinely terrifying. Learn how to use the universal secret ingredient that makes any type of thriller truly scary. Hint: It’s not what you think. Description: When it comes to a good book, a reader might not recall the details of a certain plot or the physical characteristics of the various characters, but he will remember how the story made him feel. Citing several examples from a variety of works, Brenda talks about how to create an emotional connection with the reader and amplify its effectiveness. She also takes a look at the “icebergs” that can easily creep in and sink a story’s emotional impact. Description: Join New York Times and USA Today Bestselling Author, Liliana Hart, and Chief of Police, Scott Silverii, Ph.D., as they discuss the importance of getting the facts straight in fiction, and how to cultivate a good working relationship between the writer and law enforcement. Description: The setting for your novel is more than just the stage on which your story takes place. Done right, it affects everything from your characters’ world view to the actions they can and cannot take. Description: With reference to moral and emotional dilemmas, it is usually hard to torture your hero, but it works well both for tension and for exploring beliefs, character etc, They don’t say, horns of a dilemma, for no reason. Description: Peter James will talk on the art of establishing and maintaining suspense all the way through a mystery novel. Description: Whether you’re writing a scene of subtle seduction, or ratcheting up suspense with an accusatory rant, your characters want to speak. In this workshop, you’ll learn ways to loosen their tongues and create distinctive voices while moving your plot forward. We’ll explore how sensory detail can enable your protagonist to “read minds” without straining credulity. You’ll discover techniques for turning mundane conversation into punchy dialogue. We’ll discuss the importance of point of view, word choice, and sentence structure. And you’ll see how questions, interruptions, and subtext can pick up the pace and breathe life into a scene. Dialogue samples will be provided, but bring your own short sections to work on as well. If you want to rid your manuscript of extraneous chitchat and dull exposition, this workshop is for you. Description: Why you need to stop trying so hard. Stop writing and start thinking. “Passive processing” is the key to writing novels that the reader falls into like Alice through the looking glass. Writing is the mechanical part of this business. If you were born to write, then it’s in the brain and heart where the real work is done. Learn to get out of your own way, and why every writing “problem” contains its own solution. Finally, embrace the fact that every successful writer is writing about himself—or herself—regardless of genre or even the narrator’s gender. Description: The start of your novel is one the most important things if you want to write bestselling book. Robert Rotenberg’s seminar will be a hands-on tutorial, filled with examples, explanations and a close examination of your own opening words to make the first step in your manuscript the best it can be. Description: Negotiating the Beginning, Middle and End and how to move from one to the other. Description: The “rules” of writing crime fiction have changed over the years. This session will cover why these rules are important to know, even if you choose to ignore them, and how, in the end, there are no bloody rules at all. Gary Birken – HOW TO WRITE A SCENE OF MEDICAL SUSPENSE THAT DOESN’T COME OFF YOUR WORD PROCESSOR D.O.A. Description: The class would help the attendee sharpen her or his medical scene writing skills whether that scene is part of a classic medical thriller or any other work of suspense. Some of the topics would include: seamless ways of imparting medical information through dialogue, not tiresome narration; injecting authenticity, excitement and tension into life and death and other gripping medical situations; creating unique but plausible murder/suicide scenarios; Familiarizing the attendee with resources available to acquire accurate, interesting, and, even, offbeat medical facts, and, finally, how to select your medical consultants. Description: Here’s the traditional advice: “Be careful that you don’t write yourself into a corner.” Well, first I’d like to debunk that axiom and show the advantages of writing yourself into a corner in the first place, in fact why it’s important that you do so: It will (1) allow for twists that readers never see coming, (2) stretch you as a writer, (3) increase reader engagement, (4) add mystery and suspense as readers try to figure out how all the plot threads are going to play out, and (5) help you avoid cookie-cutter stories. However, the meat of the presentation will be examining five practical steps for writing yourself out of the corners you might find yourself in: (1) Narrow your focus and then widen your viewfinder, (2) Let context reveal its secrets to you, (3) Find the twist that’s waiting in what you’ve already written, (4) Reseed your story to remove coincidences, (5) Look at the back of the fabric rather than the front. Lorenzo Carcaterra – TO KILL OR NOT TO KILL: When To Do Away With A Character And The Reasons Why? Description: Ever wondered why some books are quickly snapped up and made into successful television show while others are quickly passed over? Mystified by what kinds of stories and concepts studio execs and showrunners look for? Wish you could adapt your own novel for television as successfully as George R. R. Martin? If you’ve always dreamed of having your book adapted for TV and having a good experience with the process, it helps to understand the fundamentals of the craft of television writing. This workshop is for anyone who wants to learn the secrets of substance, structure, character, style, and principles of story construction used by top writers and executives from cable to network television. Description: When you need your book to have a clue. This course gives you the basic tools to investigate your own fictional scenes. 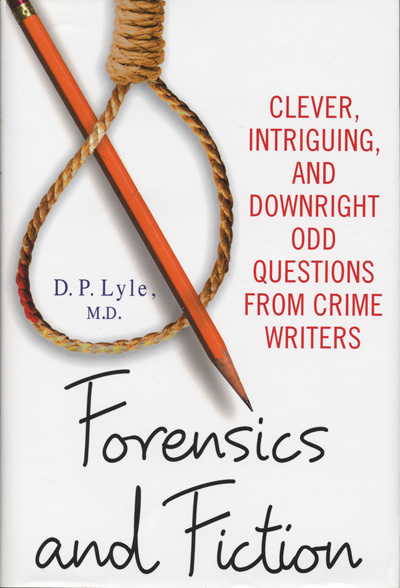 Geoff Symon shares his 20-years experience as a Forensic Investigator in a class perfect for authors of every popular genre. We’ll hit the forensic basics, talk about evidence and determine what’s important to your story vs. what’s important to an investigator. We’ll wrap by going over one of Geoff’s actual scenes! Description: Once you understand that the villain is the hero of his own journey, you can create complex and believable bad guys worthy of your hero. Description: Charlaine Harris will talk about secondary characters who stick with the reader, and how to construct them. Sure, your protagonist is the most important character, but don’t ignore the people who surround her/him. Would Lincoln Have Survived With Modern Medical Treatment? 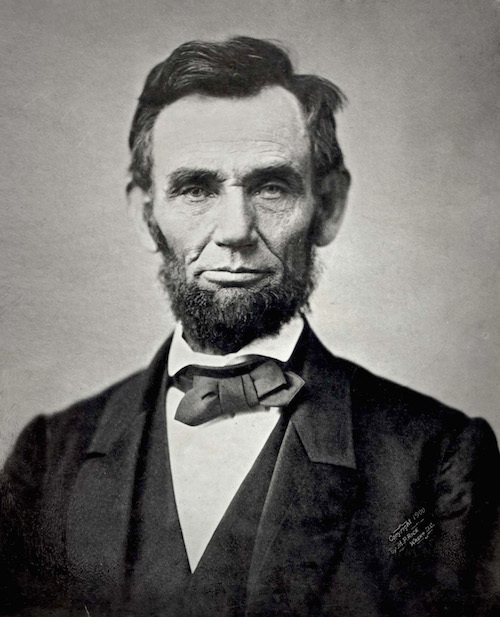 Would Abraham Lincoln Have Survived His Injuries Today? Q: This is a pure curiosity question. Do you think that Lincoln could have been saved if they had today’s medical knowledge, techniques and equipment in 1864? A: Most likely, yes. He was shot in the back of his head, and the bullet apparently entered his brain. He lived for many hours so the shot was not immediately fatal. A surgeon probed the wound but feared removing the bullet, since it might cause bleeding. He probably should have, but we’ll never know. Similar wounds today are treated by a trip to the OR, removal of the bullet, controlling bleeding, and preventing any subsequent infection. He would have had at least a 50 percent chance of survival. And since he survived several hours anyway his survival with modern techniques would likely have been much higher. Join Jan Burke and me on Saturday April 11, 2015 as we welcome Lisa Mayhew, child death investigator to the show. BIO: With both her bachelor and master degrees in Child Development, Lisa Mayhew has worked as a child development specialist in North Carolina since 1992. She has provided direct therapy services to children, as well as providing consultation and training within North Carolina and across the US in areas related to child development. She specializes in the 0-3 year population, children with special needs and interdisciplinary collaboration. She has served as the Child Death Investigator/Trainer for the Office of the Chief Medical Examiner since 2000 conducting investigations of child deaths statewide, and providing assistance in investigations to local and state agencies. In addition, Lisa operates the Child Death Investigation Training Program in conjunction with the North Carolina Justice Academy to agencies statewide involved in the investigation of child fatalities. She provides training to local and state law enforcement agencies across the US, and is the author of Child Death Investigations: Interdisciplinary Techniques from Cradle to Court available through Carolina Academic Press. She served as a consultant in the development of the Infant/Child Death Investigation Kit with Tri Tech Forensics and is an instructor for their training institute. Her trainings are also offered through the Public Agency Training Council. Maxine “Max” Revere is tough, smart, focused, relentless, and doesn’t suffer fools well. These characteristics work well for the well-known, well-respected investigative journalist. They also lead her into more trouble than she could ever imagine. 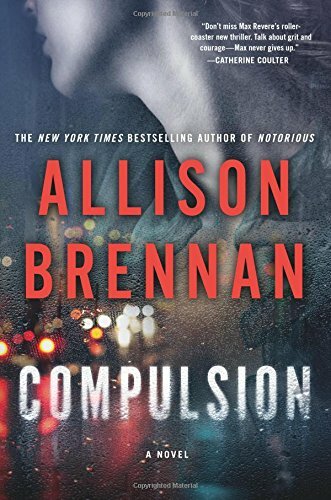 When she turns her lens on Adam Bachman, who is on trial for a series of murders, she opens doors to her past, her family, and her own weaknesses. Was Bachman a lone killer or did he have a helper? More than one helper? Max believes so. Few buy her theories and as she tries to prove them wrong, she discovers things are not as she suspects. Not even close. Was this all a set up? A trap just for her? And if so, why? And by whom? This is a well-plotted, crisply written thriller that is impossible to put down. Highly recommended. DNA Phenotyping: Real or Wishful Thinking? Genotype means what your DNA is like. Phenotype means what you look like. No doubt your genotype dictates much of your phenotype, but can your DNA be used to create your image? Maybe, maybe not. 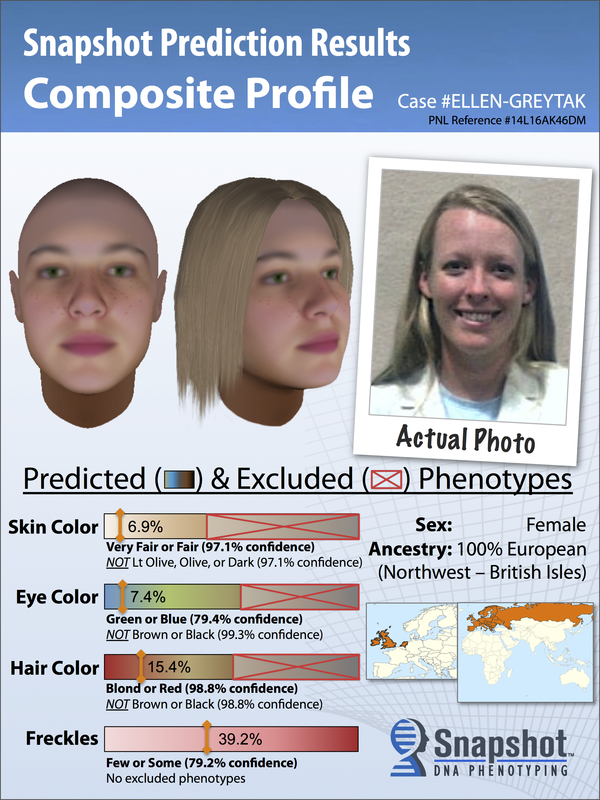 For law enforcement and forensic scientists, the question becomes: Can investigators use a DNA sample to create an image of a suspect? The creators of the SNAPSHOT technology believe so. This complex system looks at the areas of the DNA sequence (genotype) that are known to affect our appearance (phenotype). By analyzing these sequences, they believe they can create a reasonable likeness of the person. This is obviously a new technique and much more study is required, but if it proves to be useful, it would offer a great tool to law enforcement. Having a DNA sample is one thing, but creating a suspect’s image from that would be a critical bit of evidence in tracking and identifying perpetrators.